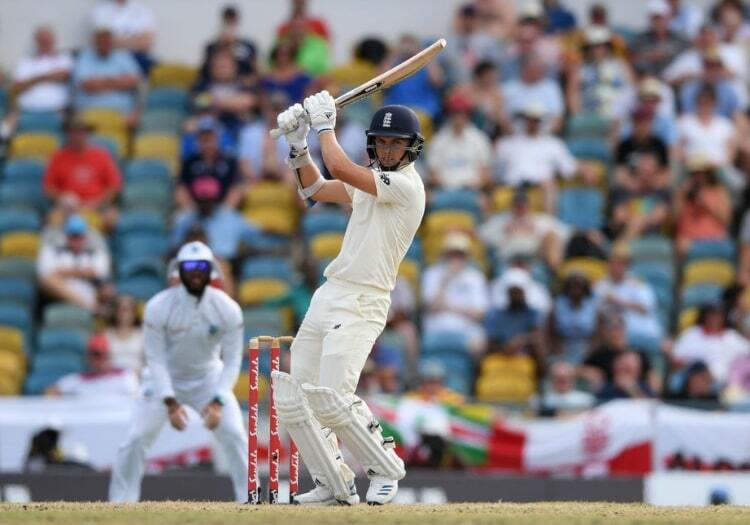 The point has repeatedly been made that it seems perverse to discuss England’s bowling when they managed to score only 77 and 246 at Barbados. So what better place to start then than… the attack? Stuart Broad was incredibly unlucky to miss out, of course. Since he had a disappointing Ashes (not on his own there) he tinkered with his action in New Zealand, did well in that series, and was decent against Pakistan and India. 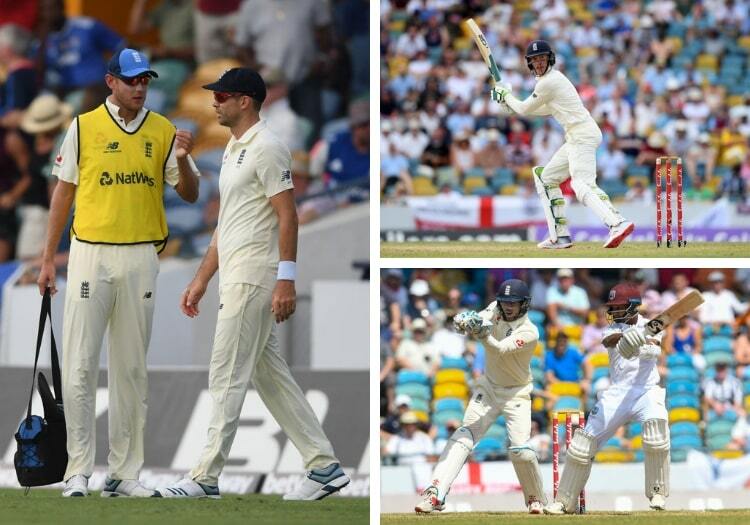 James Anderson – incredible in the first innings at Barbados – and Ben Stokes – increasingly the catalyst/battering ram of the unit now – need help. I have read reports that the surface in the Sir Viv Richards Stadium at Antigua is lower and slower than the one at the Kensington Oval. In which case let’s go for Jack Leach – excellent in Sri Lanka – and Moeen Ali. Trevor Bayliss has acknowledged Keaton Jennings is in danger. He has scored two Test hundreds, but his overall record is disappointing, and he is fallible against the quicks. Joe Denly possibly deserves a go. Stick or twist? Maybe one more chance for Jennings. At his age (26) the selectors would surely prefer to stick with him that Denly (32) – not that I am ageist. Hopefully Rory Burns can keep building now after his commendable knock in the second innings of the first Test. After some thought I would retain Ben Foakes. Let’s keep going with the best gloveman. And hope that Stokes and Buttler make 160 runs or so between them to justify their positions at No.5 and 6. The former averages a shade under 26 in his last 11 Tests, Buttler 40 in his last 11, which is decent. England can bounce back. Teams are notoriously fallible in the first Tests of series these days. They just don’t give themselves enough time to prepare. But this buoyant West Indies side will not make it easy for them. My XI: Burns, Jennings, Bairstow, Root, Stokes, Buttler, Foakes, Moeen, Broad, Anderson, Leach. It is only natural to favour mass changes following England’s mauling in Barbados but calm heads need to prevail. This side, in its own slightly loopy style, has come an awfully long way since the abomination of an Ashes tour last winter and to chuck in the towel the moment it is dealt its first bloody lip would be just as reckless as some of the batting on show at the Kensington Oval last week. At the top of the order, England have tied their hands behind their own backs, anyway, with no back-up opener in the touring party - Joe Denly is simply not the right option - and the middle order needs all possible opportunity to bed in ahead of the visit of the Aussies this coming summer. So, oddly enough after being bowled out for 77, it is seven through 11 where tinkering is more likely. 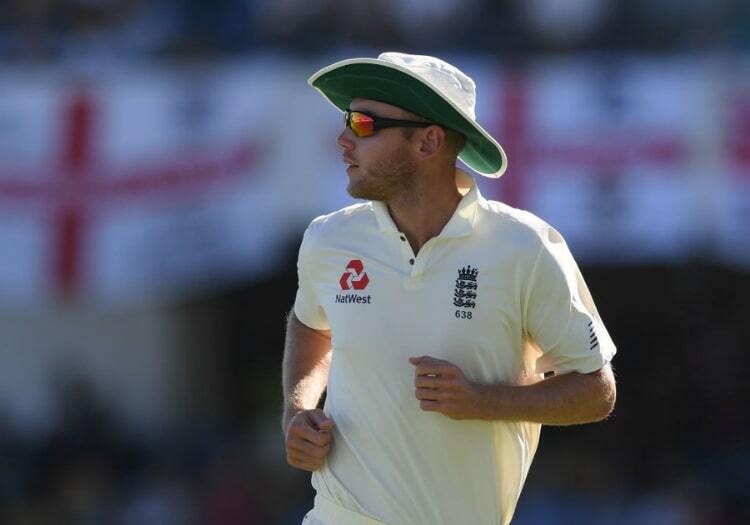 Adil Rashid was nigh-on impotent in Bridgetown and, with Joe Root seemingly uncomfortable to throw him the ball (Rashid bowled 26 overs in the first Test, while Ben Stokes chucked down 50 and Jimmy Anderson 48), it seems unthinkable that he won’t be swapped out for a seamer in Antigua. Stuart Broad, bed bugs and all, is the obvious selection. But what about the rest of the attack? Moeen Ali - average with the bat since January 1, 2018: 16.75 - cannot on present form be considered a Test No.7. Can he be included as a specialist bowler? A sub-30 average in that same period, in addition to his display with the ball in Barbados, suggests so (though there will be a clamouring for Jack Leach to take his place). The experiment on using Sam Curran as a new-ball bowler was ill thought-through in Caribbean conditions but the Surrey youngster is such an exciting talent that it seems a shame to exclude him on the basis of one meagre performance. Give him the responsibility with the bat he obviously enjoys, bump him up to No.7, drop Moeen to nine and insert Broad. Only one change to the personnel, but plenty to the dynamic. Is Sam Curran's place under threat? Well, that went well didn’t it? Crushing stuff from West Indies, led by their captain (the world’s No.1 allrounder) and finished off by a man named Roston. Meanwhile England are left scrabbling around in the dirt for the pieces of their Test XI puzzle. James Anderson and Stuart Broad’s combined Test wicket tally hit the 1,000 mark at Bridgetown despite the latter being sat on the sidelines. Trevor Bayliss admitted that Sam Curran had the “first bad Test in his career” and surely Broad slots straight back in for the Surrey allrounder or one of the spinners. Rory Burns is getting ever closer to his maiden Test hundred while Keaton Jennings’ consistency as an opener continues to be a major concern. Since his fine performance at Galle (46 and 146*), Jennings has averaged 12 in three matches. Will England be cut-throat and take a punt on another opening combination? Jennings may well get another chance in Barbados, but with the series on the line it is a risk for the tourists. I cannot see him as England’s long-term answer, but with only Joe Denly elsewhere in the squad, Jennings may survive at least another Test, if not two. Depending on conditions, Jack Leach returns in place of Adil Rashid. If the pitch doesn’t warrant two spinners, then Curran gets a chance to bounce back and Rashid makes way for Broad. Ben Foakes says he would understand if he was dropped in Antigua. Though it would feel harsh if the Surrey glovesman was the man to miss out, it would allow England to play another seamer. For me, he keeps his place.